Nicholas D. Kristof has 1 media appearance. Nicholas D. Kristof discusses China Wakes: The Struggle for the Soul of a Rising Power. Anderson’s welcomes the Pageturners Book Group, a club that focuses on non-fiction books. This month’s title is Nicholas Kristof’s Half the Sky. Please read the book, and join our lively discussion. New members are invited to participate, but are asked to please call and register: (630) 355-2665. Displaying results 1-4 of 4 titles for "Sheryl WuDunn"
A Path Appears: Transforming Lives, Creating Opportunity Two-time Pulitzer Prize-winning journalist Kristof speaks about the book he has written with his wife Sheryl WuDunn, offering practical results-driven advice about how each person can give and make a difference and the benefits gained in return. Note: Mr. Kristof’s 5:30 pm talk is a Chicago Council on Global Affairs program. See www.thechicagocouncil.org for more information. Two-time Pulitzer Prize-winning journalist Kristof speaks about the book he has written with his wife Sheryl WuDunn, offering practical results-driven advice about how each person can give and make a difference and the benefits gained in return. Breakfast. Note: Mr. Kristof’s 5:30 pm talk is a Chicago Council on Global Affairs program. See www.thechicagocouncil.org for more information. Can giving help? In A Path Appears: Transforming Lives, Creating Opportunity, Nicholas Kristof, with Sheryl WuDunn, also his co-author on the revelatory Half the Sky, looks at a range of aid initiatives and answers, “yes.” Considering both local and global causes and investigating a range of approaches to issues including health, education, and violence, the volume presents stories and statistics that show the difference informed donations can make. 1 Book and 1 Ticket: $35; $30 for members Tickets will be available at the door. All books and tickets will be available at will call 6 p.m. the day of the event. P&P will not have books or tickets available for pick up prior to the evening of the event. To obtain the member price you must enter the coupon code that has been emailed to members separately. Nicholas D. Kristof is currently considered a "single author." If one or more works are by a distinct, homonymous authors, go ahead and split the author. 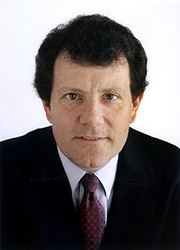 Nicholas D. Kristof is composed of 2 names. You can examine and separate out names.